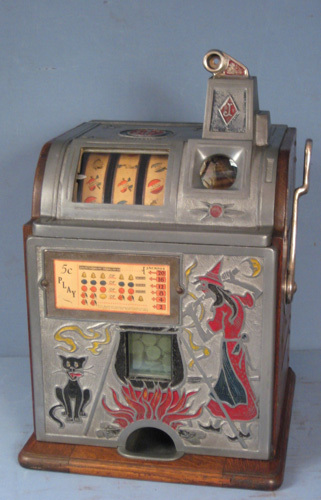 CoinOpCollectorForum.com • View topic - What model is this Bally slotmachine? What model is this Bally slotmachine? Any one knows what model this machine is? The counters on the upper glass are digital,and its a three reel machine with jackpot and a"hold" function like bally circus/mustang.There is also a "cash-out" button on the righthand side of the cabinette. Im told that it was sold to Denmark and was standing at "Tivoli Copenhagen",after that it landed i Sweden.There are no serial nr on it. I think its to old for an E1000/E2000 model,but newer than the 70-s machines though its digital. I cleaned it,changed some fuses and lubed it and it is now working.I would like to know so I can buy a manual to it.